A Cure for Sadness and Fear! I am very sad tonight. Say something. I felt very insulted and did not feel safe, but I cannot decide to go, I can not do anything to change it. Make Allah your armor and the Qur’an your shield, and nothing can harm you or make you sad or frightened. Begin to read out loud from the Qur’an, and all sadness will be forced to retreat before the fierce light of love and truth. Alhamdulillah! Read until you feel safe, or you decide to go, or it changes. With every hardship comes ease, my dear Sister :) And know that my love and my prayers are with you. Ya Haqq! 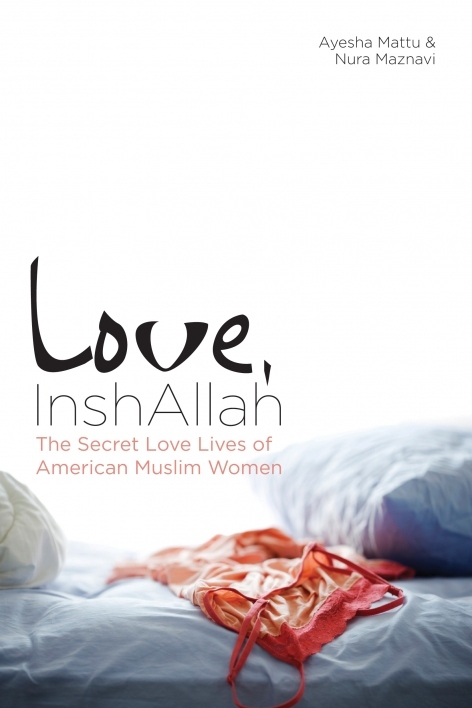 Deeply touching and intimate, the 25 stories in Love, InshAllah: The Secret Love Lives of American Muslim Women, reveal the elegance and universality of love and faith. Written by American Muslim women of all ages, races and nationalities, many of them first generation Americans struggling to bridge the cultural gap, they tell of love found and love lost, of arranged marriages that work and those that do not, of coming out and staying in the closet; the full range of human experience for women of every country and religion, and no doubt shocking for more orthodox Muslims. It is above all an honest book of love stories that transcend religion, a perfect book to upend the stereotypical Western misconceptions of veiled and abused Muslim women. These tales are filled with hope and humor and life, and I confess that I laughed and cried by turns with these brave and amazing women. Ayesha Mattu and Nura Maznavi, who collected and edited the stories and wrote two of them, are owed a debt of gratitude, and I pray that the day will soon come when love stories by the millions of American Muslim women will be less a secret and just another part of everyday American life. I loved it! Note: To pre-order the book, read more reviews and interviews with the writers, or to find future book-signing events, visit the Love, InshAllah website HERE. Note: To read the New York Times article on the backstory of Love, InshAllah, click HERE. Happy 70th Birthday to Muhammed Ali, the greatest boxer of my generation, and also a role model for character and honor as a Muslim. In his honor, therefore, I am repeating this post from several years ago. Second Note: Because of the response, here are links to two previous posts on Hijab: Wearing Hijab – A Spiritual Concept and Wearing Hijab in Mecca. Today in the United States is the National Holiday of the Reverend Dr. Martin Luther King Jr, (which falls every year on the first Monday after his birthday, January 15, 1929). I do not have the words to do justice to his life and work, and so I will quote only two paragraphs that may help explain why he is one of this nation’s heroes. 10 Methods of the Heavenly Dragon – Book Review! 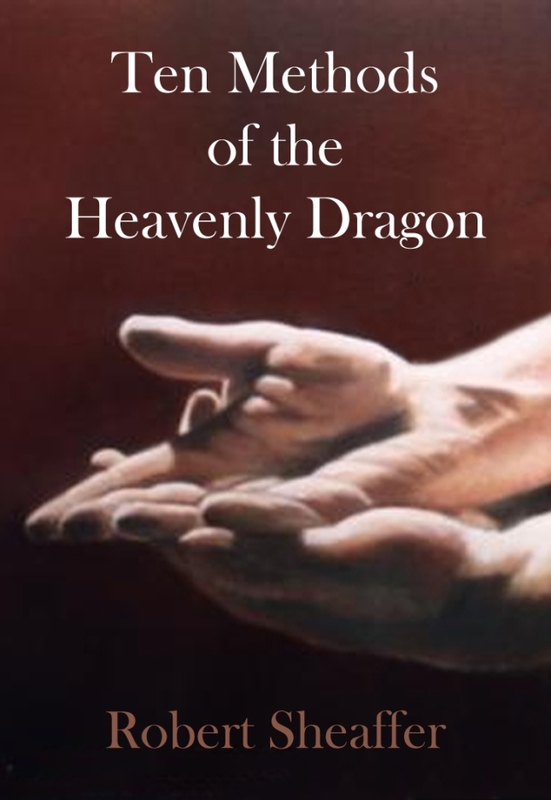 A truly remarkable book, Ten Methods of the Heavenly Dragon is profound and deeply moving! This first person account of a lifelong seeker Robert Sheaffer’s apprenticeship with Shun Yuan, a gentle, Western-born Adept of the Tao and Taiji martial arts, enthralls the reader both as a teaching story and an introduction to as remarkable a man as any hero out of fiction. In the end, though I did not want it to end, I was left with a sublime sense of inevitability and peace. A truly amazing achievement! The unfolding of the 10 Methods of the Heavenly Dragon are beautifully told within the intricacies of Bagua, the “eight symbols” used in Taoist cosmology and the elegant, deadly forms of Chinese martial arts, each method translated into hard learned lessons of everyday life. The Tao emphasizes getting past your preconceptions and your ego; in effect, getting out of your own way. I for one am very grateful for the lesson. Note: The book has also won the Gold Medal in the Living Now Book Awards for 2013. Congratulation! You are currently browsing the Darvish blog archives for January, 2012.